President Barack Obama has nominated another physicist to run the Department of Energy (DOE) who shares his “all of the above” approach to the challenge of meeting the country's energy needs, while curbing carbon emissions that cause global warming. Nominated for the post on March 4, 2013, Dr. Ernest Moniz would succeed fellow physicist Dr. Steven Chu, who has served in the post since 2009. Joining the Physics Department at the Massachusetts Institute of Technology (MIT) in 1973, Moniz rose to full professor and served as department head from 1991 to 1995. Over the course of his career, Moniz has focused his research on energy technology and policy. At present he is the Cecil and Ida Green Professor of Physics and Engineering Systems, director of the Laboratory for Energy and the Environment, and director of the Energy Initiative, which studies how to sustain energy consumption and avoid global warming. His leadership of the Energy Initiative has drawn criticism from environmentalists and others because large fossil fuel companies, including BP, Shell, ENI, and Saudi Aramco, gave up to $25 million each to the Initiative, which has released reports supportive of fracking, nuclear energy and other non-renewable technologies. Critics arguing that he is too cozy with the “old energy” industry note that Moniz has served on the boards of directors of or as an advisor to several energy and security companies, including enriched uranium company USEC (2002-2004), BP (2005–2011), and General Electric (2006-present). Unlike Secretary Chu, whose sometimes difficult tenure was often attributed to his lack of political experience, Moniz has served in policy positions in Washington. From 1995 to 1997, he was associate director for science in the Office of Science and Technology Policy at the White House. 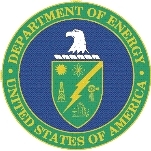 As under secretary at DOE from October 1997 until January 2001, Moniz had oversight responsibility for the Offices of Science; Fossil Energy; Energy Efficiency and Renewable Energy; Nuclear Energy; Environmental Management; and Civilian Radioactive Waste Management. Moniz was a member of President Obama’s Council of Advisors on Science and Technology, the DOE Blue Ribbon Commission on America’s Nuclear Future, and the Department of Defense Threat Reduction Advisory Committee. He is a fellow of the American Association for the Advancement of Science, the Humboldt Foundation, and the American Physical Society, and a member of the Council on Foreign Relations. Ernest Moniz is married to Naomi Hoki Moniz, who was born in Brazil and is a professor of Portuguese. They have one grown child.